This work was the result of my collaborating with my friend Dušan Zahoranský during our scholarship in the US. We didn't have to think hard to come up with the subject, as one can find baseball caps almost everywhere in America. 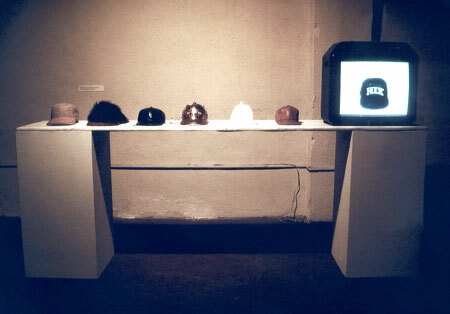 We made six caps from different materials, while the original, serving as a model, was shown on video.